Hi everyone! This is GiGi from The Cricut Bug and it's time for a new challenge! 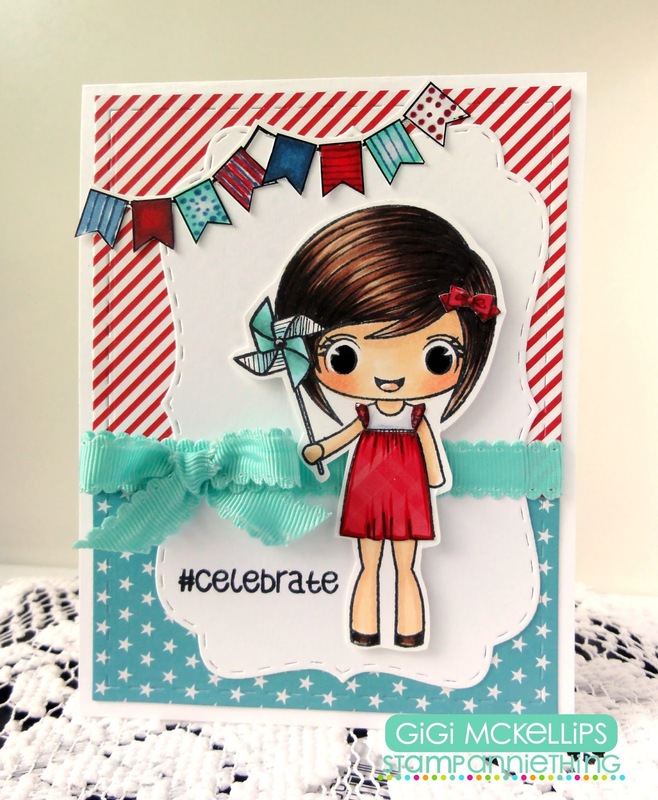 This month the challenge is "Red, White, and Blue" and here is the card I made using Rae-Simple Pleasures. I cut the white mat using the Fancy Topper Die and added some ribbon over the top. I stamped and half paper pieced/half colored Rae with Copic markers, adding her on pop dots. 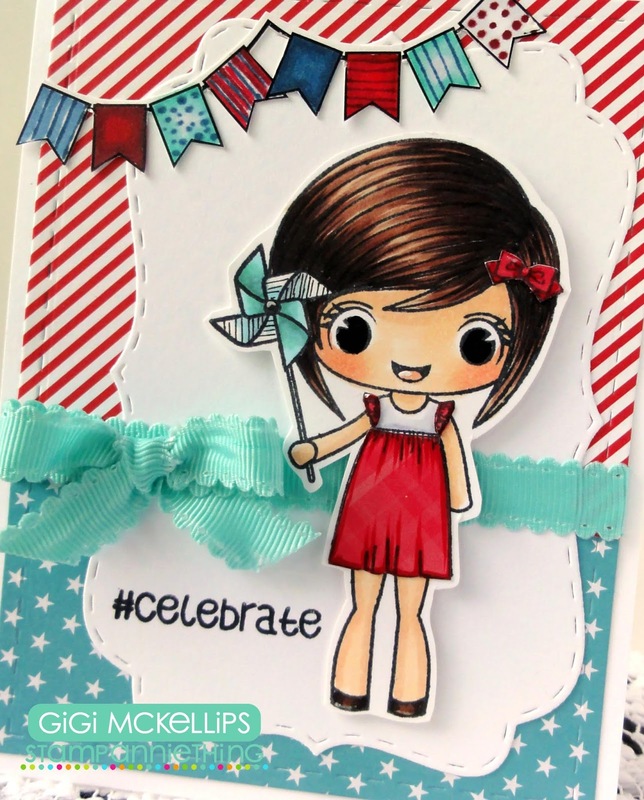 To finish, I added the banner from the Banner Flags Decorative Die Cuts and stamped the sentiment from the Stacey stamp set. I hope you all liked my card for today and will play along in the challenge. carte très patriotique pour la journée du 14 juillet en france, j'adore!